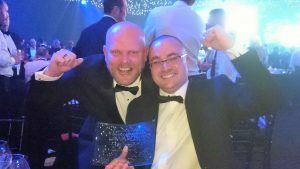 I’m very excited to tell you that last night the Personal Tax Account (PTA) won Digital Project of the Year at the annual UK IT Industry Awards, one of the most highly regarded in the IT calendar. Such an amazing achievement for the whole team. This award is recognition for everybody who has supported delivery of the PTA. The judging panel particularly mentioned how impressed they were with the way HMRC is using digital to take the fear out of tax – helping our customers understand what they need to do, and providing them with the tools to do it easily. It’s still less than 12 months since the PTA was launched but, with 6.7m users and a customer satisfaction rating of 77%, it’s already transforming the way our customers can deal with us. So it’s wonderful to get this recognition that what we’re doing is up there with the very best in the UK IT industry. Tax underpayment We’ll send the customer notice of underpayment via the tax calculation letter (P800) at year end. The letter tells the customer if they can make their payment online using their PTA, rather than posting a cheque, making it quicker, easier and more secure. They can also choose to go paperless in future. Tax overpayment If a customer has overpaid they can use their PTA to claim a refund direct to their bank account and they should receive the money within 3-5 days. This is much faster and simpler than before. We’ve received just over 1.5 million repayments claims so far with an average claim of £519. The total amount we’ve refunded is nearly £780 million. So if you haven’t tried your award-winning Personal Tax Account yet why not have a look at the services it offers? You can update your personal details, see your next tax credit payment date, review your state pension entitlement and even see if you’re eligible for marriage allowance. To access your account go to the Personal Tax Account sign-in page - it only takes a few minutes to get started. You can also find out more about the Personal Tax Account by watching the HMRC YouTube video about it.